Below is a short list of diamonds that The Diamond Trade has purchased recently. As you can see we buy a wide range of shapes, grades, and sizes. Most diamond buyers just focus on round brilliant diamond ranging from SI2 to VS and D to J color. The Diamond Trade can buy as low as I2 ( imperfect and included diamonds) and as high as VVS and Flawless diamonds. If you are interested in learning what we paid for these diamonds please email us for a list with the price we paid for these diamonds. Although this list contains GIA diamonds, we do purchased diamonds certified by other laboratories and uncertified diamonds as well. 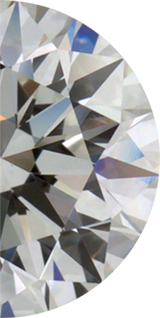 The Diamond Trade is an experienced global diamond buyer. We buy GIA certified, as well as uncertified, diamonds and gems! Contact us today to get a quote to sell your diamond.